Congratulations to The Bike Project, Look Mum No Hands!, E5 Bakehouse, Community Cycleworks and Prudential Ride London — all named winners of publicly voted categories at Monday night's London Cycling Awards. Over 3,000 people voted online for their favourite businesses and events, with those coming out on top announced at last night's ceremony at the ICA, hosted by Jeremy Vine. These awards are the only ones dedicated to cycling in London, and allow the whole community — from the occasional cyclist to the committed commuter — to recognise people who are trying to make getting around on two wheels safer and more fun. "The London Cycling Awards celebrate the vitality of all things cycling in London. Our winners are pioneers who have strived to make our streets safer for cycling and to attract new cyclists. They are businesses that are raising the bottom line through cycling and they are grassroots projects that are using cycling to improve lives, including for some of London’s most disadvantaged people." 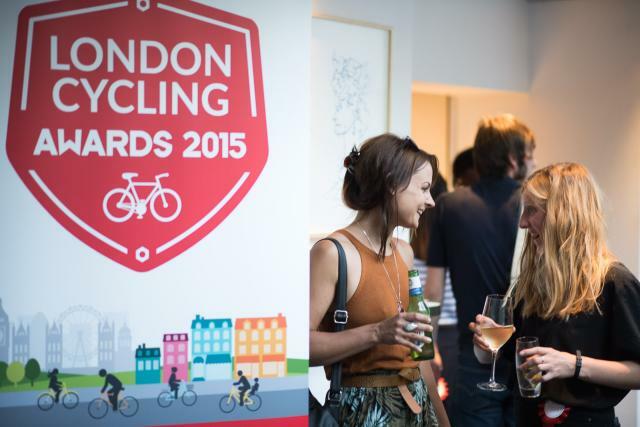 Londonist is proud media partner to the London Cycling Awards.